Qatar and ASEAN: Opposites Attract? Qatar-ASEAN ties are growing based on complementary strengths in areas like energy and agriculture. Qatar will open a “dedicated unit” in its Ministry of Foreign Affairs for working with the Association of Southeast Asian Nation (ASEAN), Crescente Relacion, the Philippine Ambassador to Qatar said this week, Gulf Times reported. The announcement came just weeks after Qatar underwent a leadership transition that saw a new Emir, Sheikh Tamim bin Hamad al-Thani, take over the small Persian Gulf state. In turn, Sheikh al-Thani put in place a number of new top officials, including Sheikh Abdullah bin Nasser bin Khalifa al-Thani as Prime Minister, and Dr Khalid bin Mohamed al-Attiyah as Minister of Foreign Affairs,. “A high-level delegation will accompany the ministers to make the visit productive and substantive instead of the trip turning out to be a merely ceremonial one,” the Gulf Times quoted the Philippine Ambassador as saying. Although Qatar is famous for its active diplomacy in the Middle East, which includes funding the satellite television channel, al-Jazeera, it may seem odd that it would be sending its new head of government to ASEAN so soon in his term. But in fact ASEAN countries, both individually and collectively, have been steadily increasing their ties with Qatar in recent years. The relationship is built almost entirely on economic interests, which are often complementary. For example, Qatar’s state-owned telecommunication company, Ooredoo — which runs Qatar’s telecommunications sector as a monopoly—has operations in Laos, Singapore, Indonesia and the Philippines. Last month, Ooredoo was one of two foreign companies that was granted a very coveted license help develop Myanmar’s nearly non-existent mobile industry. Another notable instance of Qatar-ASEAN economic cooperation is the state of Sarawak on the Malaysian island of Borneo. Abdul Taib Mahmud, the notorious corrupt Chief Minister of Sarawak, has eagerly courted Qatari investment for his state, including meeting with the former Prime Minister and hosting various business leaders. This has paid off in the form of Qatar investment, including in Sarawak’s halal hub at Tanjung Manis. Early this year, Qatar also announced it was setting up a hub in its capital city of Doha to cater solely to products made in Sarawak. It has also expressed interest in helping to build a local aviation industry in Sarawak. In many ways, the Qatari and Sarawak relationship sees odd. For one thing, Sarawak is an energy-rich state. And while it is the largest state in Malaysia, Sarawak is also the only one where Christians—not Muslims—are in the majority. But this underscores how much Qatari-ASEAN relations are built on economic interests, not any sort of natural affinity for another. Indeed, although the Muslim-majority ASEAN countries share something obvious cultural similarities with Qatar, the broader bilateral relationship’s greatest strengthen comes from their complementary differences. The first of those, as noted above, is investment. 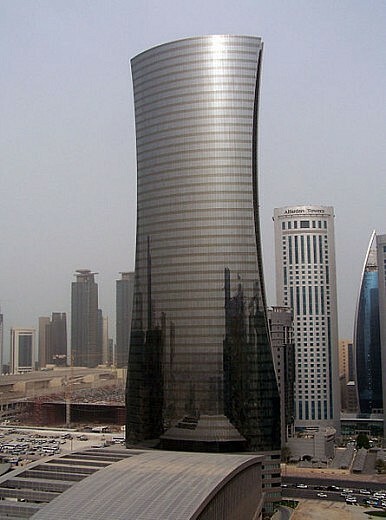 Qatar is an important source of outward FDI, sending US$26 billion abroad in 2010. Its future potential is also promising given the large stockpile of foreign reserves it has built up from running a huge current account surplus. In 2012, for example, Qatar’s current account surplus was US$62.3 billion or 32.4 percent of GDP, according to IHS Global Insight. This corresponds nicely to ASEAN’s need for huge FDI inflows, which grew to US$116.5 billion in 2011, from just US$16 billion in 1993. Perhaps more important to bilateral ties is Qatar’s food insecurity, and ASEAN’s energy insecurity. With regards to the former, by some estimates Qatar spends some US$1.3 billion a year importing around 93 percent of its food stocks. Not only is Qatar a small country, but the UN Food and Agricultural Organization (FAO) estimates only 1.6 percent of the country is arable, and agriculture accounts for less than a percent of GDP. Although the government recently launched a National Food Security Program, its natural limitations will make it impossible to fully overcome this dependency. This contrasts nicely with many ASEAN countries need to export agricultural products. Indeed, countries like Indonesia, Thailand, and Indonesia have regularly been among the world’s top food exporting nations. Other countries, like the Philippines, have a sizeable agricultural export business as well, which are growing. Other countries lead in certain crops; for instance, Vietnam is one of the largest rice exporters in the world. Meanwhile, ASEAN will struggle in the years ahead to secure enough energy resources as it will have to compete fiercely with countries whose demand is also growing, such as China and India. This will come at a time when ASEAN’s energy demand, like that of China and India’s, is largely sharply. Consider that, in 2011, 80 percent of the ASEAN population did not have access to electricity. This will change as more and more individuals enter the global middle class, putting enormous strain on ASEAN’s domestically-produced natural resources. According to Melissa Low, an Energy Analyst for the Energy Studies Institute at the National University of Singapore, ASEAN’s primary energy requirements already doubled between 1990 and 2007, and will triple between 2007 and 2030. Furthermore, during this period ASEAN’s oil consumption is expected to actually decline, and be replaced by other energy sources like coal, nuclear and natural gas. This makes Qatar an attractive partner. Although an oil exporting nation, Qatar has only the thirteen largest prove oil reserves in the world. Consequently, its oil exports pale in comparison with many of its neighbors, and it is indeed the third smallest exporter in OPEC. Furthermore, many of its oil fields are maturing, limiting future growth prospects. But gas is an entirely different story. With 13 percent of global gas reserves, Qatar has the third largest reserves in the world behind only those of Iran and Russia. The government has made it a priority to limit domestic gas consumption, which allowed Qatar to export 4,200 Bcf of natural gas in 2011. With 80 percent of these exports in the form of liquefied natural gas (LNG), Qatar is the largest LNG exporter in the world, controlling nearly a third of the global market in 2011. Around 48 percent of these exports went to Asia, but in past years as much as 79 percent of Qatar’s LNG exports were sent to the Asia-Pacific. Currently, much of this ends up in India and East Asian countries, particularly South Korea and Japan but also China and Taiwan. This is likely to change in the coming years as a result of ASEAN’s growing demand. Indeed, Thailand’s state-owned PTT, which is doubling the capacity of the country’s LNG import terminal, signed a deal with state-owned QatarGas last December to purchase two million tons of LNG each year for 20 years, starting in 2015. Qatargas also signed a deal to sell Malaysia 1.5 million tons per annum of LNG over the next 20 years. Qatar’s first shipment arrived in Malaysia earlier this week. Singapore also received its first shipment of Qatari LNG earlier this year. Finally, even if most of its LNG exports continue to be shipped to East Asia, ASEAN will remain an important consideration for Qatar. This is because an ASEAN country is likely to wind up as the region’s gas trading hub. Indeed, earlier this year the International Energy Agency did an extensive analysis of suitable regional gas trading hubs in Asia, and found Singapore to be the most qualified contender. In late June, a few months after the IEA report was released, Qatar and Singapore announced they were expanding ties. There are huge potential advantages for ASEAN if it can integrate its energy market.